Dan Meyer, an inspirational writer, speaker and teacher (whom I met at the Siemens STEM Institute), is helping math teachers across the country stimulate the curious minds of our students. Meyer proposes that teaching mathematics should be like having your students watch a movie. In a typical movie, there are three acts. Act One engages the audience. Act Two is when the conflict surfaces and the plot develops. Act Three is when the conflict is resolved and a sequel is expected. Today I was at the gas station, filling up my tank to go home for the holidays, when I noticed that it was taking an unusual amount of time to fill up my tank. At one point I thought to myself, "I wonder how long this is going to take?" Then a lightbulb went off! I thought, this is the perfect example of a math problem to share with my students. So, I took out my smartphone and recorded the data at the gas pump. Below you will find my Three Acts of a real world math problem. Ask your students, "What questions do you have after watching the video?" How long will it take to fill the tank from start to finish? How much money will it cost to fill the tank? How many gallons will it take to fill the tank? What resources will your students need before they can resolve their conflict? What tools do they have already? What tools can you help them develop? Ask your students, "What information do you need to know to answer your questions?" "How can you get these answers?" What specific vehicle is getting gas at the station? What is the size of the gas tank? 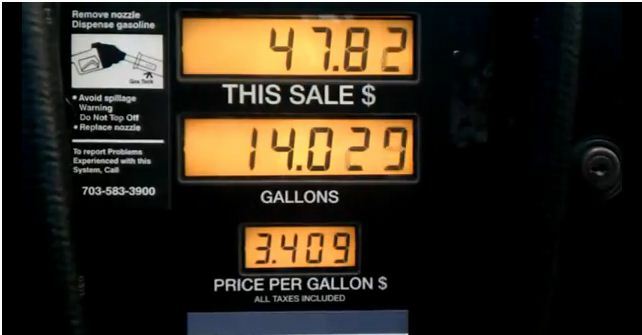 How many gallons will it take to fill up the rest of the tank? The Third Act pays off on the hard work of Act Two and the motivation of Act One. After students solve the problem, prove that their answer is correct. Problem: How long will it take to fill the tank from start to finish? Answer: 13 min. 52 sec. Now, if I multiply the gal/min by the total amount of gallons, I should get the total time it would take to fill the tank. Now, 13.871 tells me that it takes almost 14 minutes, but i want to know the exact amount of seconds it takes. So, in order to get my seconds I will multiply 0.871 x 60 (seconds) to get 52.26 seconds. Therefore, my final answer is approximately 13 minutes and 52 seconds. How far can I drive my car after my gas light comes on? It took 14.893 gallons of gas to fill my tank after my gas light came on. 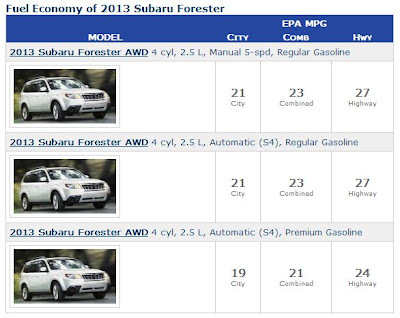 2010 Subaru Foresters average 22 miles per gallon. The Trilogy: Compare different gas pumps and the rate at which they pump(I have feeling some are slower than others). You could have a video of each pump with each showing a different span of time. Hey Bradley, strong work. Thanks for tipping me to your lesson. I appreciate you kept a steady hand on the camera during act one. That may seem like a small thing but it'll help your students abstract the scene and detect patterns if the important elements aren't wobbling all over the place. Next time it might be fun to film the /entire/ thing filling up, from start to finish. That way, in the third act, you could play the entire video and prove to them it fills up in 13m 52s.